In class today I gave the preservice middle school teachers a choice: finish up our work on decimals or do a St. Patrick's Day activity. They all yelled, "Decimals!" End of story. No, wait, they yelled for the St. Patrick's Day activity. (Though I go by mathhombre, I'm more fear na hÉireann than boricua. Not to look at me.) I take St. Paddy's pretty seriously. To introduce the activity below, we considered something I saw recently. A teacher told her students to multiply decimals by lining up the decimals. They were having trouble remembering when you have to line up decimals, so she told them to just always line them up. The students then wanted to bring the decimal straight down. Some use the place holding zero, some even put an extra zero after 3.7, and a row of 000 in the products. Several of the preservice teachers knew this was wrong, though, like some of the middle school students. You count up the decimal places. We noticed that this works, but why? Nobody knew. One student thought that it must be connected to counting the zeroes when multiplying by powers of ten. Good connection! So we considered how all of math is often presented as rules to students. You must do this. You have to, and then you. When really to mathematicians, there are axioms, conjectures and theorems. Axioms are our starting assumptions. Euclid discovered (or recorded) that to logically proceed, we had to have a place to start. Like, 'two pints determine a line.' (Cheers.) The students were also familiar with the Parallel Postulate. What you can prove from those axioms are theorems. What you think might be true are conjectures. 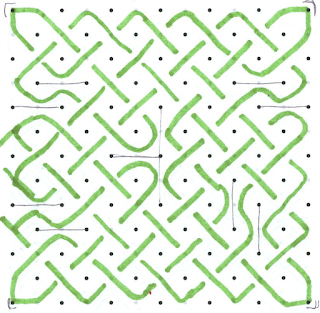 In the activity below, the rules for making knots are the axioms. I charged the preservice teachers with trying to decide if they were all axioms. Mathematicians, after all, do not like making additional assumptions. Were some of the rules consequences of other rules? Could they make conjectures about the patterns they saw? 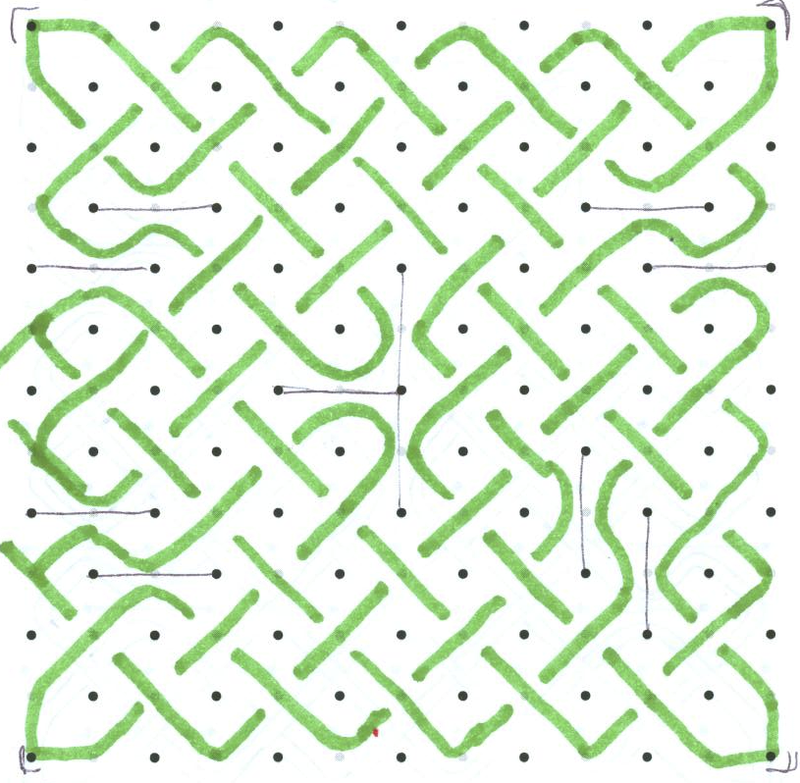 This activity was adapted from Symmetry Shape and Space, an amazing math for general education text by Kinsey and Moore. It's important to have some Knot Dot paper for their experimentation. (The link is to some 2-sided paper on Scribd. Yes I know most paper has 2 sides.) I bring about 1.5 sheets per person. Some will take some sheets to go. They formed several conjectures through their work. They decided Rules 5 and 6 were non-mathematical, but rather stylistic. 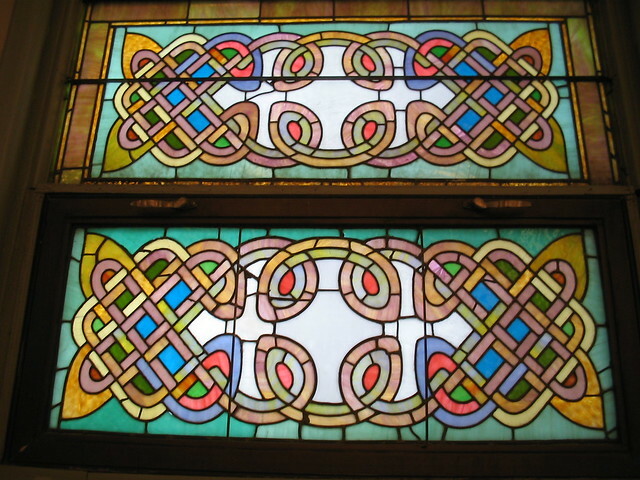 They noticed that seemingly symmetric knots involved flipping the crossings on corresponding pieces. They made a conjecture that on knots with dimensions bigger than two the greatest common divisor of half the side lengths was the number of strings. Maybe. But if the GCD was one, there was one string. And they conjectured the converse was true, too. It was a very engaging activity. I was interested in the math value, though, and a quick 0 to 5 finger survey found they thought it was about a 3.5, with a range of 2 to 5. Éire agus mata go Brách!